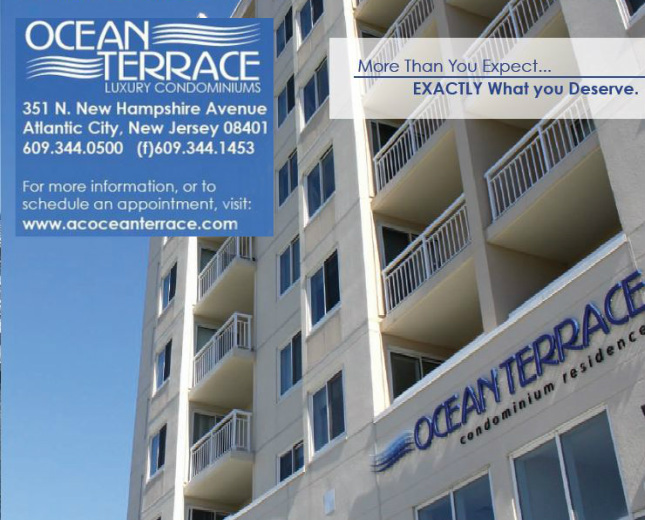 The Ocean Terrace is so spectacular and filled with so many amenities, it has its own website and on site administrative and rental staff. Check out the website and see the spacious layouts, pictures of the pool deck and the spectacular views. Take note of the fitness center, internet cafe, secure garage parking and doorman service. Call today and schedule your visit. Your luxury apartment is waiting for you!